This HDMI to VGA cable for mac 5M connects your HDMI-equipped device, HDTV (NOT FROM COMPUTER OR LAPTOP) to your monitor. The HDMI-equipped devices include high-definition DVD player, HDTV receiver, projector, A/V receiver, Playstation system. The cable supports high-definition resolutions up to 1080p, provides the highest quality picture and clear sound. NOTE: this cable don't support signal from VCR, COMPUTER or LAPTOP output. 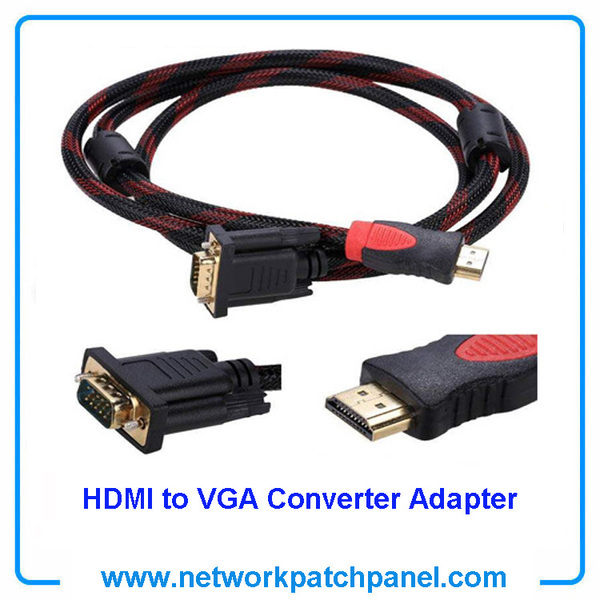 Cable supports 1080p, 1080i, 720p, 480p and 480i resolutions, provides high bandwidth (340 MHz/10.2 Gbps) for high-speed data transfer. 1.100% new high quality product.